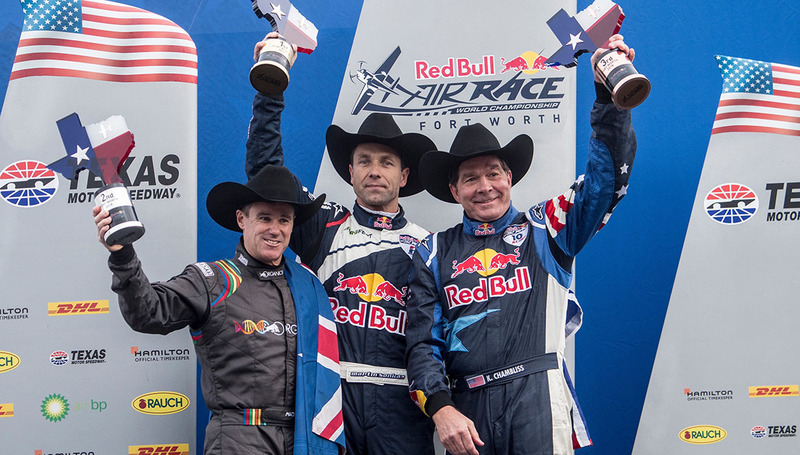 Australia’s Matt Hall has come within three-tenths of a second of claiming a maiden Red Bull Air Race World Championship title in Fort Worth, Texas on Sunday after finishing second to eventual champion Martin Šonka of the Czech Republic in the final race of the 2018 season. Sunday’s result makes it three of the past four years that Hall has finished runner-up. The other two occasions were in 2015 and 2016 respectively. Coming into today’s finale Hall was third in the standings and seven points behind leader Michael Goulian of the USA. Splitting them was Šonka. With the most ground to make up in the three-way pursuit of the world title, Hall’s only option to secure overall victory was to finish in the top three and have the results of his opponents fall his way. 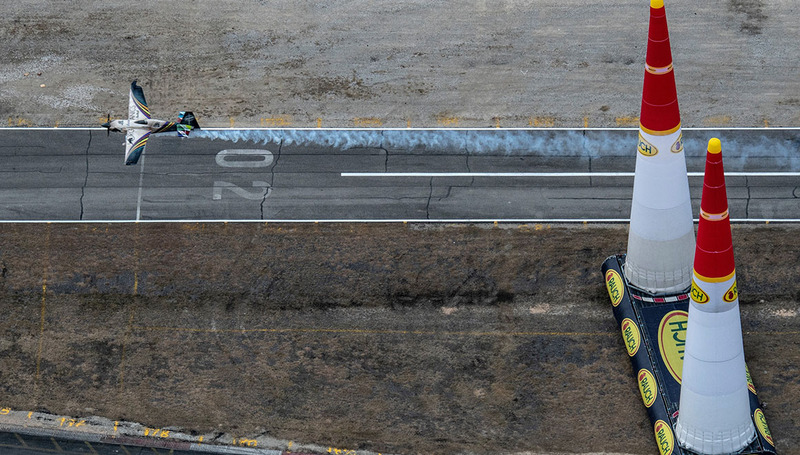 Even with the hardest road to victory, Hall put his head down and stuck to his race plan of focusing on himself and taking it one flight at a time. In the race opening Round of 14 he beat Canadian Pete McLeod and then advanced to a Round of 8 head-to-head battle with Spaniard Juan Velarde, which the Aussie also won. High drama struck in the second stage as Goulian was eliminated by Šonka, dashing the American’s dreams of a world title. That set the stage for a Hall versus Šonka extravaganza in the Final 4 showdown. 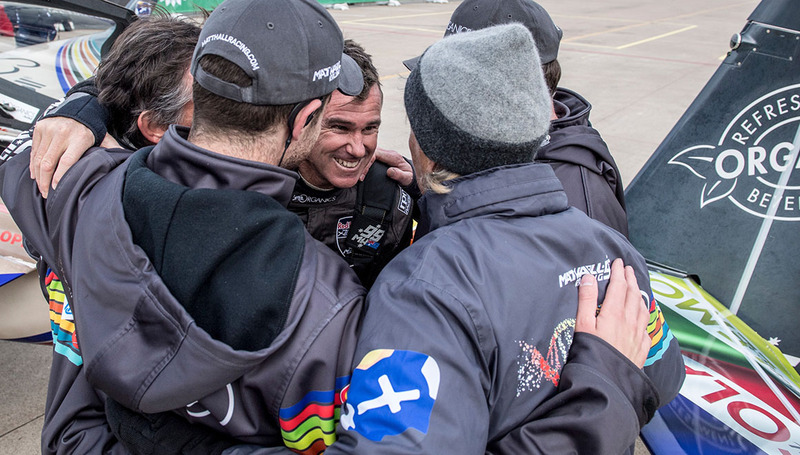 As the third of four competitors to fly in the final stage of the race, Hall put in a time good enough to be sitting first, a position that would have handed him the title. But Šonka had other plans, besting Hall’s time to take the race win and the title, relegating the Australian to second on both accounts. For his part, Hall said he put it all on the line, while also noting disappointment and coming so close to realising a career dream. “It was an interesting day, we stuck to our plan and the plan worked. It was just one race at a time and get through each round,” Hall recalled. “In the Final 4, I pushed it as hard as I could. I thought it might have been enough and enough to push it over the edge for Martin. So I had to sit and wait for him to fly and that was hard. Following eight hard-fought races, Hall finishes 2018 ranked second in the world, with two wins from races two and three in Cannes, France and then Chiba, Japan. He also claimed second at today’s race in Fort Worth and a pair of third places in Budapest, Hungary and Wiener Neustadt, Austria. The Red Bull Air Race World Championship will return in 2019, with a calendar soon to be announced.